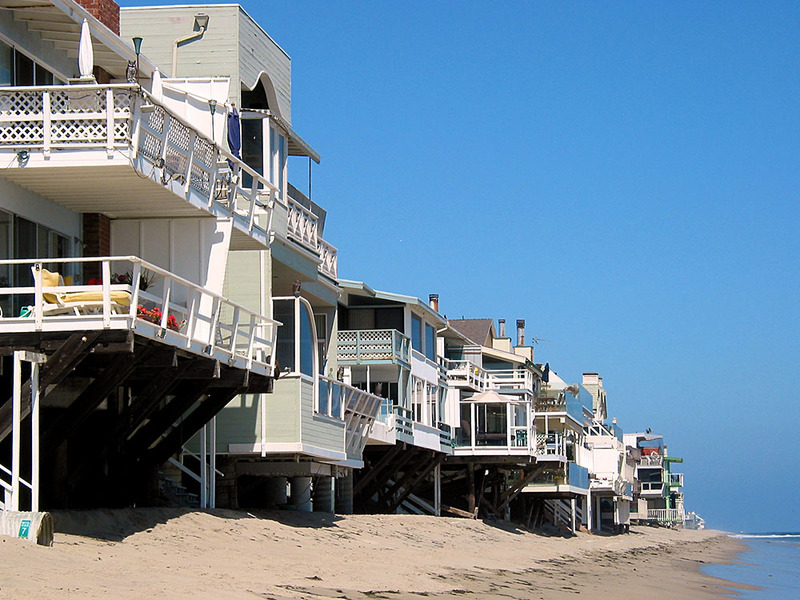 I rented a house on the beach in Malibu—looking forward to a wonderful change, living like a beachcomber! In nautical terms a bum! Thank you for remembering my birthday. I rented a house on the beach in Malibu - looking forward to a wonderful change, living like a beach comber! - in nautical terms a BUM.!! Enclosed is a picture for Miss Janice Mastro. Was surprised to note you had'nt heard from my friend Mr Andy Wade, he's generally a very prompt correspondent. Maybe he's on a vacation - I would suggest you drop him a card, the address again is 6409, Bayshore Blvd. Tampa. Florida. My last letter from him was dated May 25th. (ult) next time I write him, I'll mention re his not answering you. You will notice my new address, I rented my house & have moved into an apartment which is right on the beach in Malibu for a few months. Hope alls well with you Gary, & the club is coming along Ok.
My regards to you all. Thanks Elmer [Westover] for your kind remembrance - you timed it pretty close - my B'DAY is on the 16TH! Note change of address - I rented our house & moved into an apartment which is right on the Beach, so am looking forward to having a wonderful change, living like a Beach-comber! - in nautical terms A BUM! Nothing to do but fish, swim - eat & surf. It should be easy to take - at least its better than working! All for now Elmer - Thanks again for the nice card - much appreciated. Trust alls well with you. Sorry so late in acknowledging your nice letter of June 1st. as you know we have been busy moving & have'nt had time for correspondence. We found a nice apartment here, a brand new building & right on the beach (sands). We have been here now two weeks & like it very much, think living by the ocean will do us both a lot of good. The apt. is newly furnished & so much easier for Eda to take care of. Just had a letter from Georgie Wood. He's been quite ill & in hospital, but says [he's] back home again & feeling much better. Pleased to know you are having such nice weather, hope you will get a good share of it this year. Your mention of the Electric train rides to Tynesmouth for a 10 return, bring back many happy happy memories, I remember I used to go to school in Tynemouth & ride on the old steam train every day, that was quite an event for me to go by myself with my school bag strapped on my back - wearing knickers & cap! Sometimes I had to walk.! I spent my fare on milk Black Bullets!. they used to sell big ones at a penny apiece - I asked the lady in the shop once, how long she would let em have one in my mount for a H'appney, as I only had that much & she would'nt cut one in half - anyway she gave me one on te promise to pay the rent later! Bye Mary dear, take crea of yourself & God Bless. Eda joins in love & kind thoughts. Thank you very much for the lovely Card, it was sweet of you to remember my birthday. Your kind thoughts are deeply appreciated - again my sincere thanks. You will note my new address. We rented the house on Franklin St. & are moving into the apt. next Saturday (22nd.) Hope you will be able to come out and see us some Sunday & bring your swim suit as this Apt. building is right on the beach. Well, that's all for now Dear, Mrs L. (Eda) joins in kind thoughts & every good wish & hope to see you all soon - come early so you can enjoy swimming in the big pool! (don't dress up). Please convey our regards & best to your Mom & Dad, trust alls well & happy. Bye Lisa, good luck & God Bless. Sorry long de1ay in acknowledging yours 4th.inst. frank1y, I put it off till I was definitely sure of new address - just moved in, a couple of days ago still in the throes of unpacking. Our tenants requested the house 10 days earlier than we had figured on, so you can imagine the wild scramble we had to get out of there - did'nt even have a place to live so had to take a hotel room for a month while we looked around for an apt. what a mess, felt like I	was on the Road again. However, after	a long search & listening to a lot of ridiculous prices, we finally came across this nice deal in Malibu a few blocks beyond the Movie Colony, a brand new building & right smack on the beach - ideal for us as we both like the ocean dept. we had to take a years lease, all the decent apt. houses demand that so we had no choice. Anyway, I think we shall enjoy it here both summer & winter, its very modern & comfortable, hope you will drop in & see us again soon - maybe the three of you? Am wondering if your little stranger arrived yet? I got a big kick out of your business cards, very funny - had lots of laughs with them, I shall have to be careful who I hand them to - you know how some dames are!! no sense of humour. Got the phone in yesterday, the number is GLOBE 68214. give me a call when you are able to come out so I can give you the road directions - its easy to find. Incidently do'nt forget to wear your best BIKINI'S. All for now John, trust alls well & happy & Bus. prospects looking good. Eda joins in love & best to you both & regards to your Mother & Dad - bring them out too, will enjoy seeing them again. Bye, good luck & God Bless.